UPDATED: Tue., May 22, 2018, 3:07 p.m.
FLORHAM PARK, N.J. – Christian Hackenberg spent his final day with the New York Jets much as he did in his first two seasons. The Jets traded the 23-year-old quarterback to the Oakland Raiders on Tuesday for a conditional seventh-round draft pick next year, ending Hackenberg’s tenure with the team before he ever took a regular-season snap. “Some players, it takes a while for them to get going,” said coach Todd Bowles, who announced the trade after his post-practice news conference was delayed for two hours as the deal was being completed. Hackenberg was a second-round pick out of Penn State in 2016, but never played a regular-season snap for the Jets. The 23-year-old quarterback was clearly No. 4 on New York’s depth chart, behind veterans Josh McCown and Teddy Bridgewater and first-rounder Sam Darnold. Hackenberg stood back and merely watched as McCown, Bridgewater and Darnold took their snaps during 11-on-11 and 7-on-7 team drills during the first practice of organized team activities. Hackenberg threw during position drills, but that was it – and, as it turned out, that was by design. Hackenberg joins a quarterbacks room with the Raiders that includes Derek Carr, EJ Manuel and Connor Cook. Oakland coach Jon Gruden worked with Hackenberg for his “Gruden’s QB Camp” series before the 2016 draft, so he has some familiarity with the young signal caller. That immediately raised some eyebrows, and came off as a veiled shot at the Jets’ coaching staff. 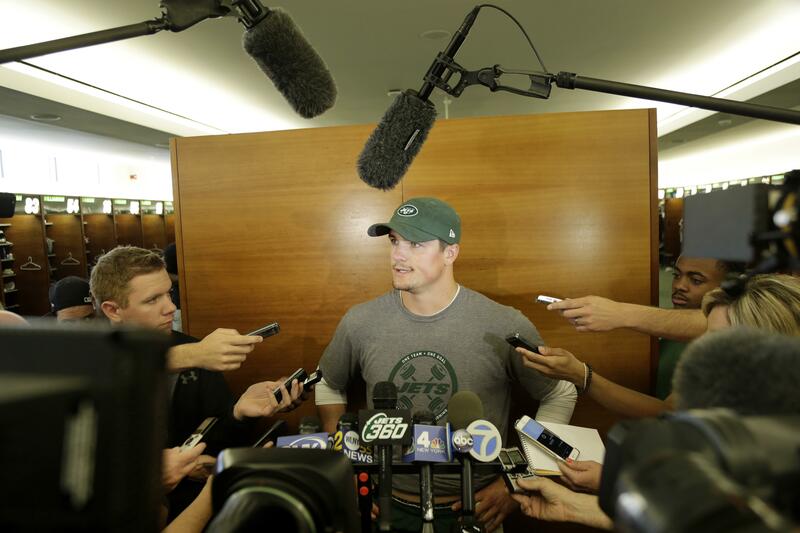 Bowles insisted that Hackenberg’s critical comments had nothing to do with the deal. After last season ended, Hackenberg sat down with Jeremy Bates, the Jets’ quarterbacks coach and new offensive coordinator, about things the youngster needed to work on. Hackenberg acknowledged that he developed “some inefficiencies, some bad habits” and discussed shortening his throwing motion. But it won’t be with the Jets, and Hackenberg will go down as one of the biggest draft disappointments in recent team history. New York spent a second-round pick on a player who never took a snap – and one who was considered, at one time, a possible future franchise quarterback. Published: May 22, 2018, 2:07 p.m. Updated: May 22, 2018, 3:07 p.m.